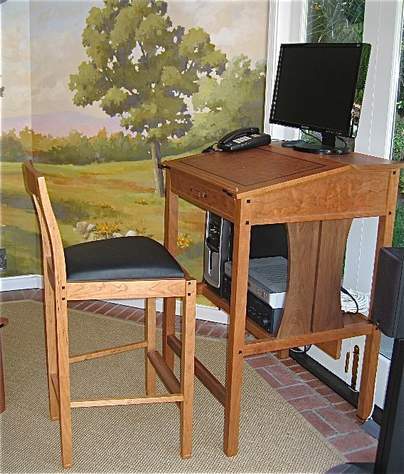 Gordy had a custom computer desk and bar stool built by David Gray. The woods used were cherry with ebony accents. Gordy lives in wine country California. Thanks for the submission Gordy. It looks great. Custom cherry desk with walnut and ebony accents.